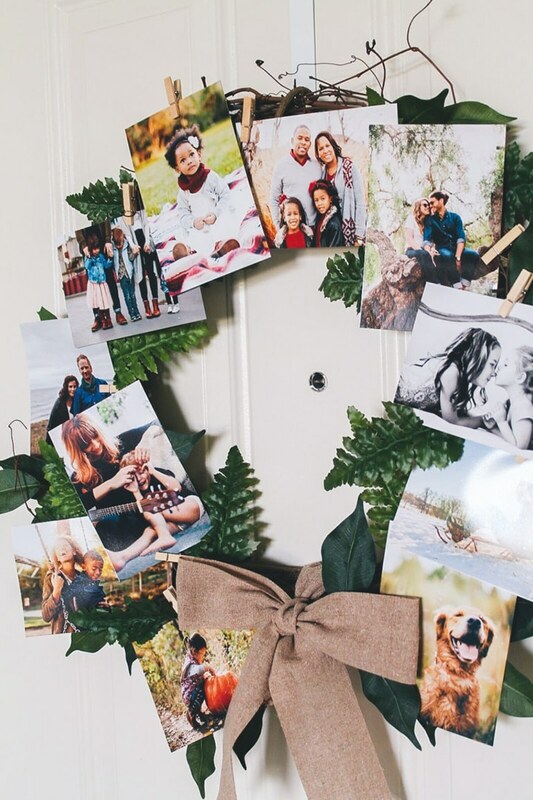 Oh, what fun it is to get 50 FREE 6×4″ photo prints every month with the app! 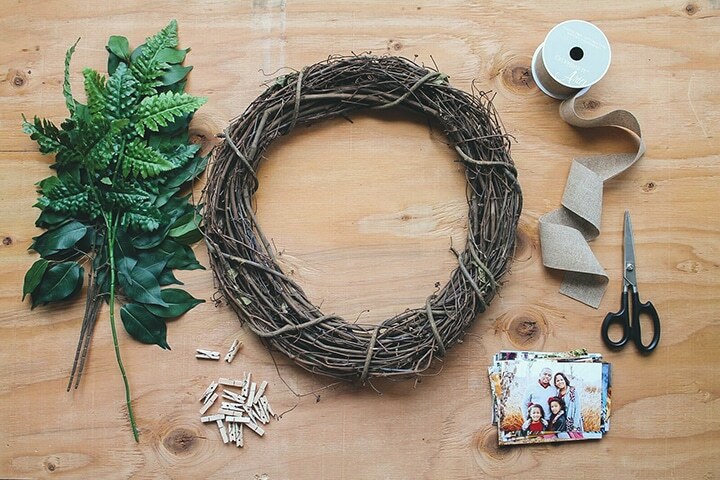 Freshen up your Christmas décor with a festive DIY that gets those photos in the Christmas spirit. Cut ribbon to 24 inches. Tie it securely around the bottom of your wreath, then tie a bow. Be sure to keep the length of the “rabbit ears” even. You may want to cut the ends like we did for a more decorative look. Trim greenery sprays by cutting each of the individual leaves off of the main branches, carefully keeping the stalk of each leaf as long as possible. 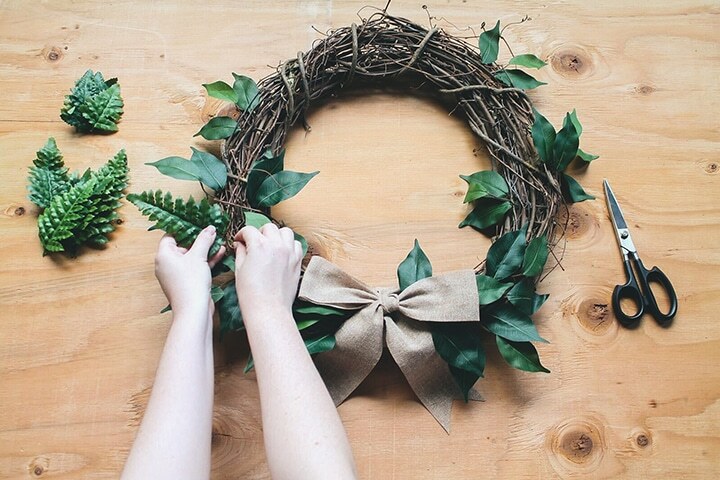 Arrange the leaves onto your wreath, tucking each one in at the stalk so they stay securely in place. 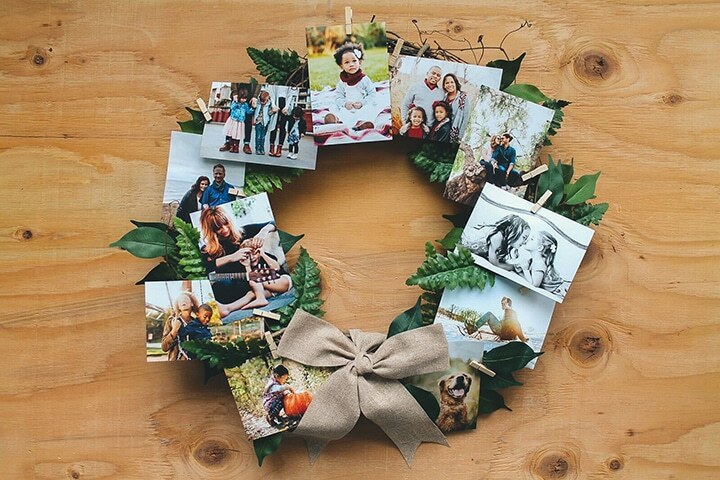 Select the photos you’d like to use, and attach each one to the wreath with a clothespin. You can easily play with the arrangement of your photos (or swap them out for new ones) since you’re not gluing them down. Looking good! We hope you enjoy your fresh and festive photo arrangement all season long. Download the Snapfish app to start redeeming your 50 free photo prints – just pay delivery! See promotional terms for details. 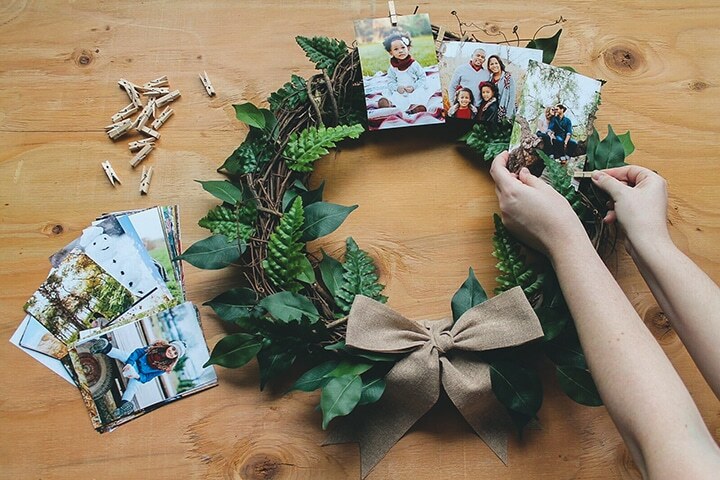 If you decide to create your own festive photo prints wreath, we’d love to see! Share your projects with us on Instagram using #SnapfishUK. Need a little #Printspiration for your 50 free prints? Tagged as Christmas wreath, DIY, Free prints, mobile app, photo prints.